I love SQL CE 4.0 because it promises to solves a problem that only SQLite has been able to solve thus far: no-install, x-copy deployable relational engine with good performance. The disadvantage in using such a recent engine is that tooling is only slowly coming together and is not there yet. 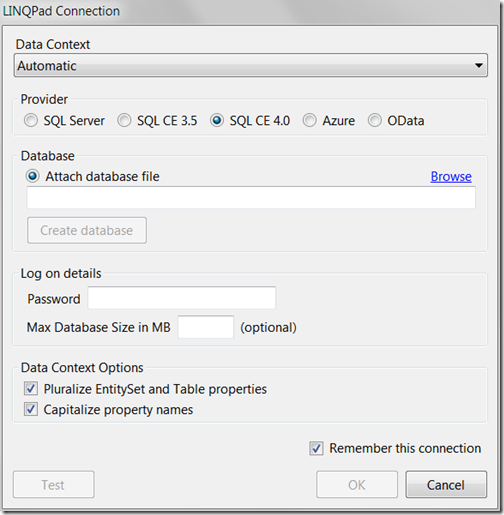 I’ve been playing a little with LinqPad though and have noticed that SQL CE 4.0 was already supported. Here’s how to set it up. That was easy. But still, super-useful. 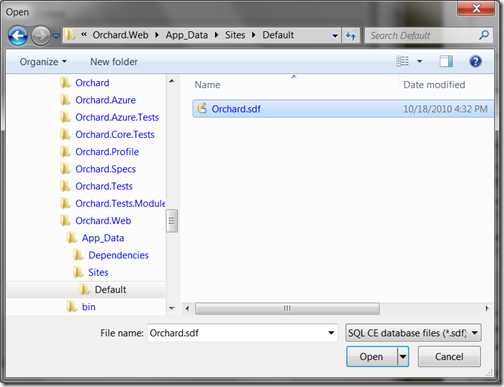 Sweet now I can easily dig into the SQL CE DB that I have been using with Orchard. @Sean: I know about VistaDB. We haven't found its performance to be that good, but more importantly its licence is extremely unfriendly towards open-source. The combobox for choosing 'Automatic' is no longer there because it's redundant. 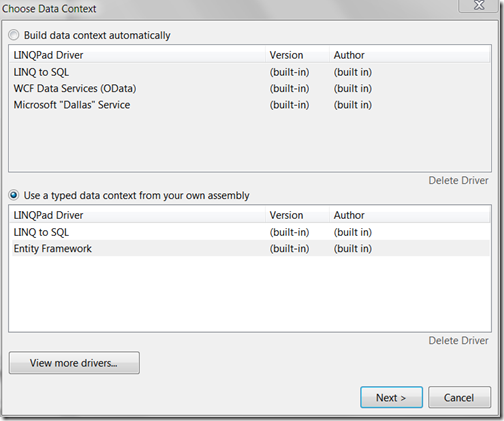 It's exactly equivalent to choosing 'Build data context driver automatically' and choosing 'LINQ to SQL' in the first dialog. So if you do that (instead of choosing 'Entity Framework'), you'll be able to connect to SQL CE and run queries as before. Will LINQpad be updated to have built-in support for Entity Framework 4.1 (containg Code First)?